Before Christmas, Nikon offered me the opportunity to test out one of their cameras. The options available to me to test were wide – from an inexpensive waterproof point and shoot (P&S) to a high-end DSLR with sophisticated video capabilities. I chose to test out the Nikon J4 which is a mirrorless camera with exchangeable lenses. While I would have loved to play with the high-end DSLR, I knew that most of the time I would have the camera I would be traveling. Packing a compact camera with built-in WIFI is much more appealing than hauling around a big, heavy, expensive camera that you don’t own, won’t have time to fully explore and have to return in the condition you got it. Besides, I’ve been exploring the mirrorless cameras these days so I have a better point of comparison for reviewing the camera. Mirrorless cameras are generally more portable than DSLRs, can take quality images that can compete with the DSLRs if you know what you are doing and fit my hand better. I have smallish hands, and between you and me, I may be getting a bit of the arthritis which makes spanning my hand out to grasp a full-sized DSLR painful after a while. And I do like carrying my cameras in my hand. All. The.Time. So let’s talk about the Nikon J4. In addition to the body of the camera (and all the fixin’s) Nikon sent me 2 lenses, the kit lens and a 30 mm prime lens. They included a 32G micro-SD for storing the images. The camera itself is compact, light and highly portable with either lens on. The Micro-SD was a bit of a pain, but it came with an adapter to make downloading the images relatively painless. Though, once I got the WIFI feature installed on my phone and iPad, I didn’t download anything until I was ready to return the camera, I just transferred across WIFI. Let’s talk about the WIFI. I LOVED it. It worked like a charm without having to invest in an Eye-Fi card or an adapter. The WIFI takes a second to get your head around, since the camera itself becomes the WIFI hub, and you connect your device to the camera. (Rather than connecting to an intermediate hub and transferring across it.) It’s more secure, but can be a bit of a pain if you are using a WIFI-only iPad (i was) and you have to disconnect from the internet every time you want to play with the camera WIFI (I did). However, once that was clear, I installed the app on all my mobile devices, turned the camera WIFI on and, BOOM, I could transfer photos. I could also take photos from my device using the phone/iPads screen rather than the cameras. Though I really didn’t use this feature to it’s best advantage. We didn’t even test the sneaky stealthy uses of this feature as much as we would have liked. But every single person I was travelling with mentioned the idea of clandestine photography. Perhaps it’s just the crowd I hang with. (I love my friends, they are so canny.) I suspect there is a limit to how far WIFI from the camera will reach… but we didn’t test that so I can’t speak to it. While I had the camera, it was in use heavily. If it wasn’t in my hands, Gerry was taking video or sneaky shots of his own. We even let our travel buddies play with it, but since they had just purchased a new Nikon DSLR for Xmas we actually spent time comparing features more than actually shooting. The controls for creative modes – i.e. not shooting in Auto all the time – weren’t as readily accessible as I would like. But once I figured things out, I could get them fairly quickly. Camera control UX is always a touchy subject for me. So I won’t go into too much detail about it. Once you get familiar with the interface and play with it enough, you’ll know how to do what you do most. and “Soft”, which produced some fun images. Including the best couple photo we’ve had in a very long time. I was also surprised we didn’t get a better boost in low light shots using the 30mm prime. Even in automatic mode I found the images weren’t as sharp as we could get with some of our cell phones. That said, Gerry got some wonderful video while we were in the Everglades. I love what he caught and how easy it was for him to just press record and go. I would have loved to do a side-by-side comparison of Nikon’s P&S in the same price point with an equivalent lens, just to see if the ability to swap lenses really adds enough quality to the images to warrant the hassle and cost of multiple lenses. Or if it just makes sense to stick with one of Nikon’s P&S in the same price range. I suspect for the general consumer looking to shoot in multiple conditions with minimal fuss it would make more sense to go P&S. Overall, the Nikon J4 is a workable camera that produces nice images. If size, WIFI and the ability to swap in a telephoto or prime lens at will is what you are looking for, this might be the camera for you. p.s. did I mention I loved the WIFI? Towards the end of the trip, this is why I reached for the J4: quick shot, better than my phone, and still able to load it quickly and easily to the internet. After returning the camera, this is the thing I miss most. Quick and easy WIFI transfer of images, FTW!! Note: This Nikon J4 Review post is a sponsored post. 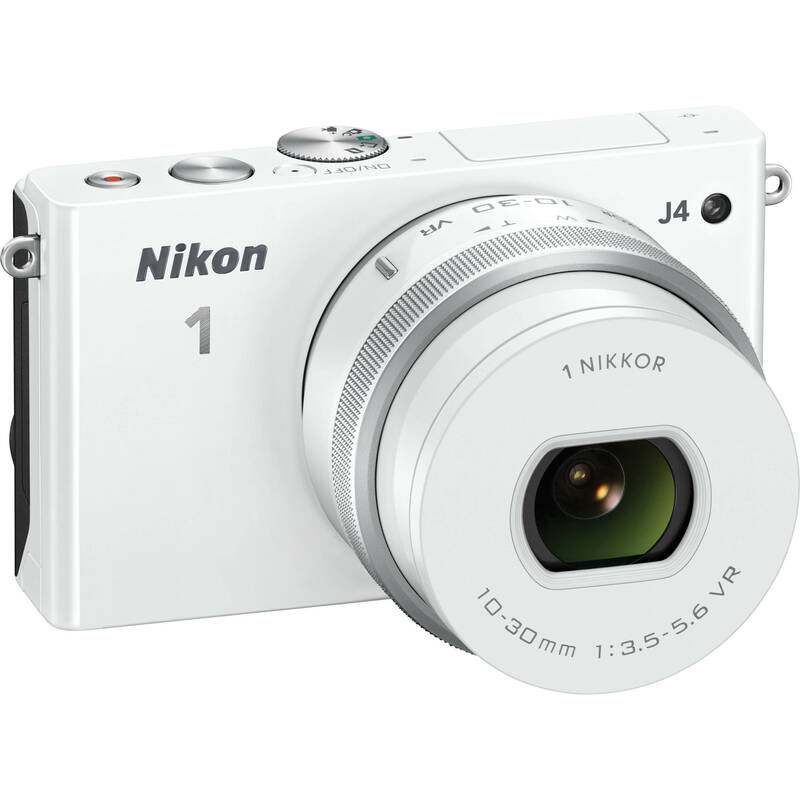 Nikon provided me with the Nikon 1 J4 for review. 1goatroti NikonCanada Looking forward to reading your thoughts! That everglades video was trippy aka amazing!